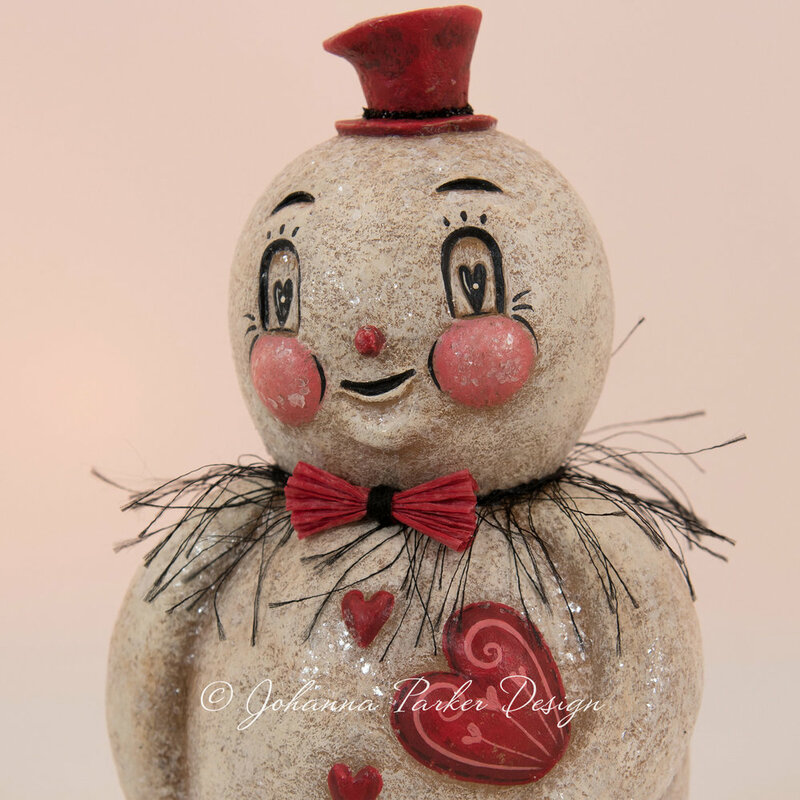 With that endearing face and sweet smile, Bert is quite the frosty charmer. He wears a sculpted red top hat with a thin band of black glass glitter. 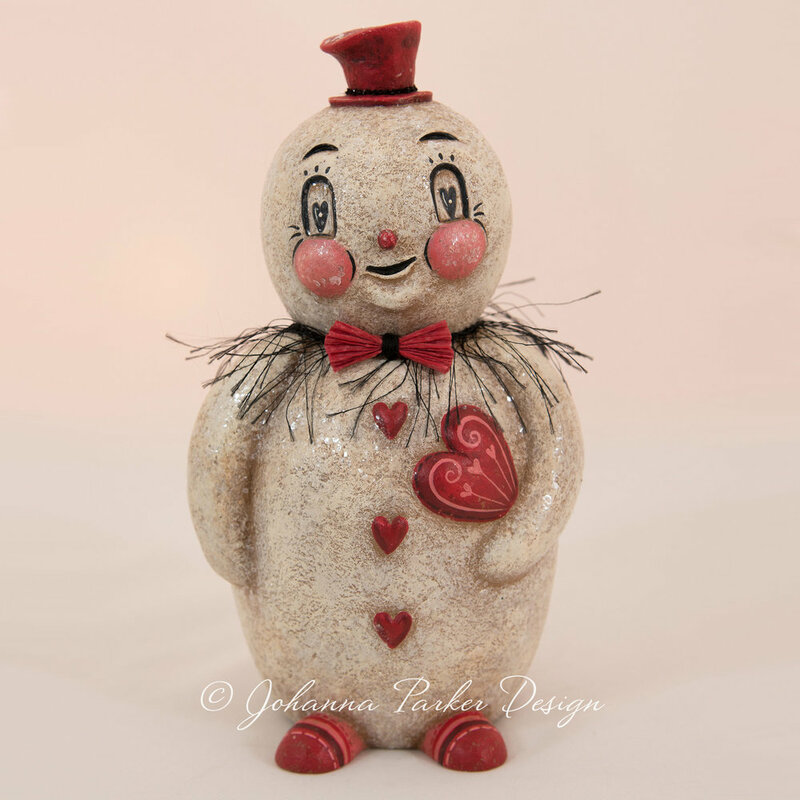 A trio of bulbous heart buttons pair well with the sweet heart that he tucks under his arm. Red and pink striped shoes dress his feet, and he wears a vintage crepe paper bow tie and black collar wisp. A dusting of mica gives him just the right amount of snowy shimmer. Watch out, he's after your heart! We are accepting your Best Offers now through when this silent auction ends on February 7th. By mid-day on Wednesday the 7th, all bidders will receive an update via email which will disclose the current Best Offer. Participants will have until 7:30 pm EST to reply and raise their bids, and that information will remain private. The winning Best Offer of this auction will be announced via email shortly after 7:30 pm EST to all participating collectors. Thank you! THANK YOU for your Best Offer for Flirtatious Bert! Keep an eye out for an email from Johanna to confirm that your bid has been received. We will be in touch with an Auction update by mid-day on the 7th. Good Luck! 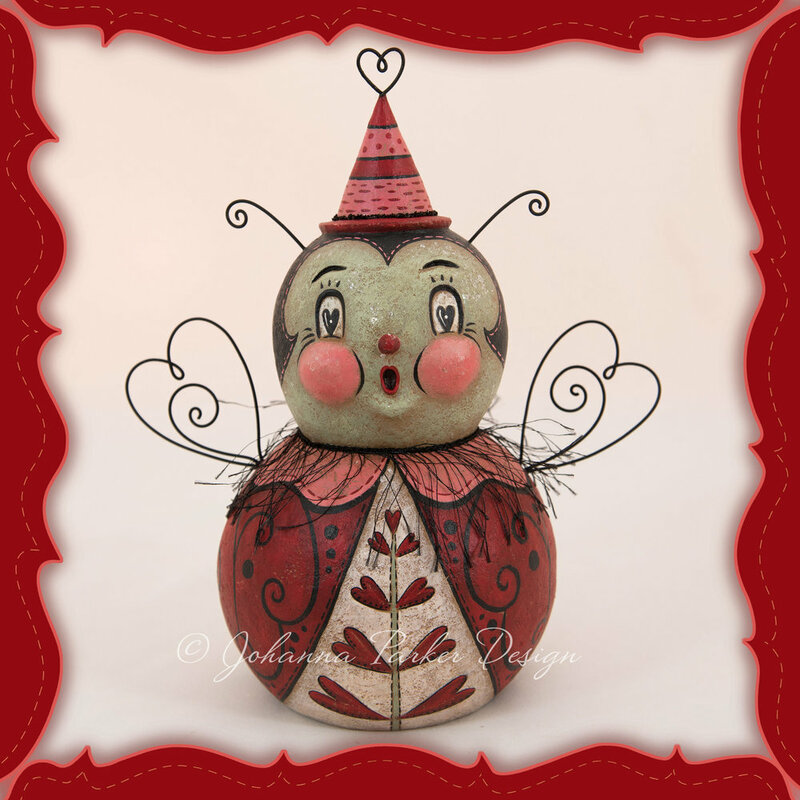 CLICK to Visit "Blooming Mabel's" Silent Auction too!